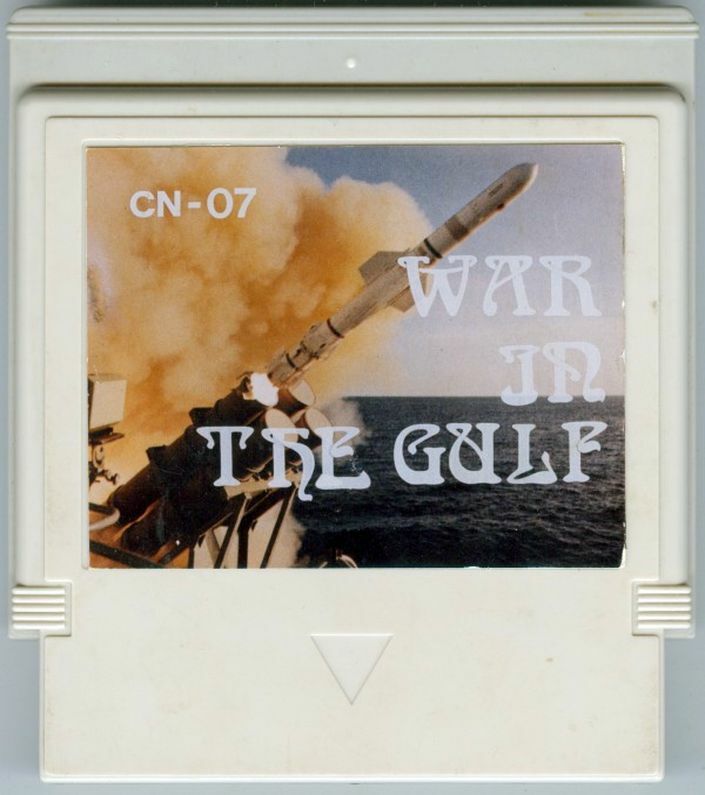 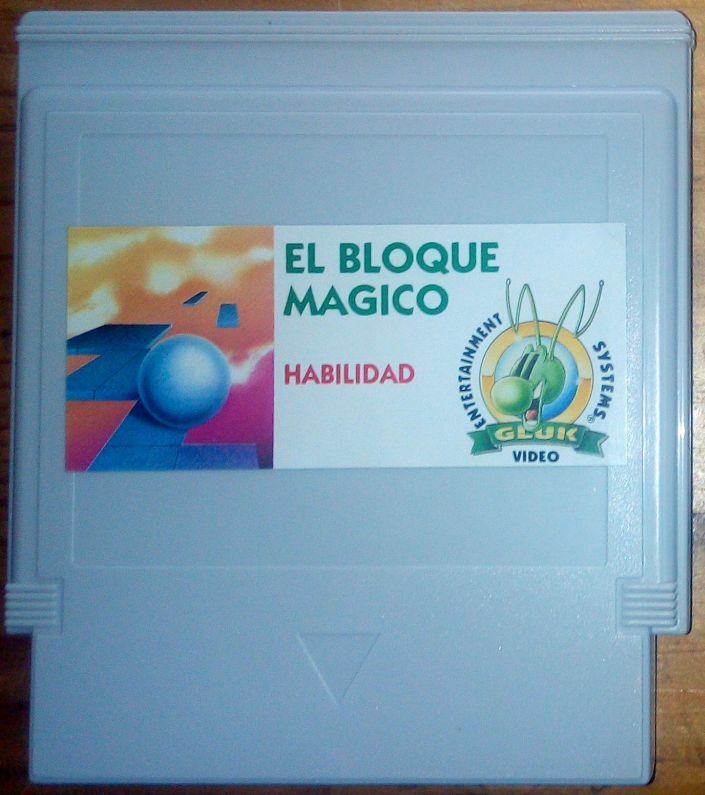 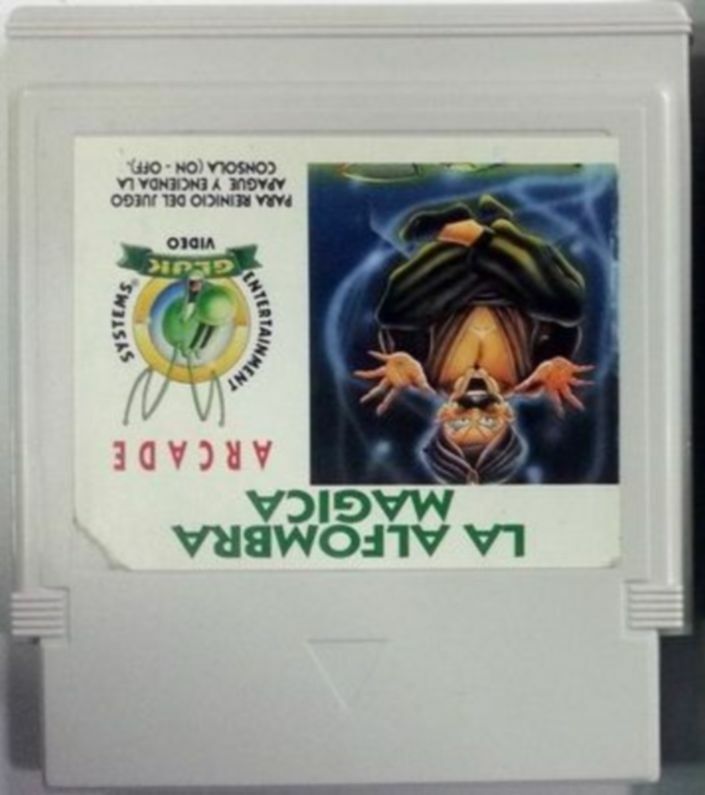 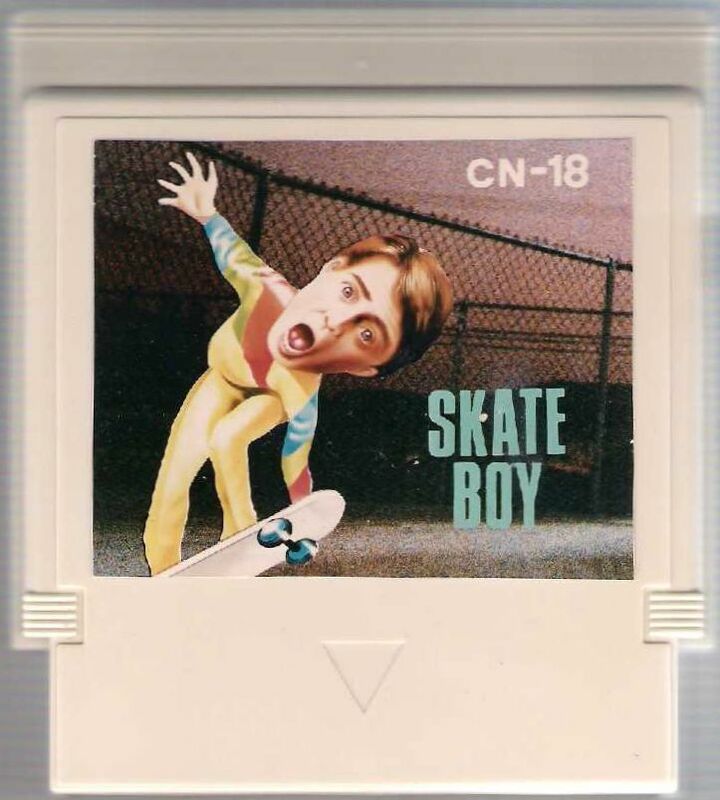 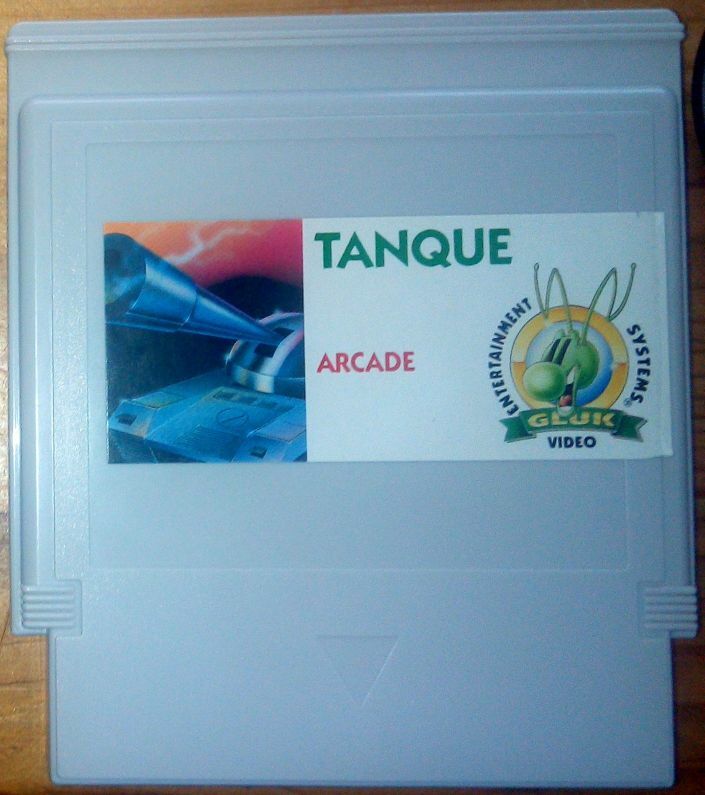 The Gluk Video labels are pasted over the original label on the cartridge. 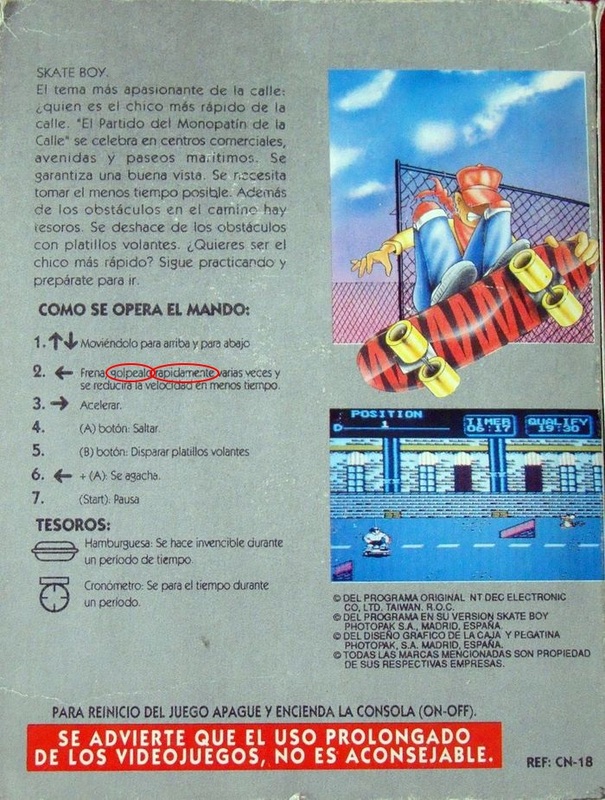 The text on the inferior part of the front box shows MICROGENIUS joined but the correct is "MICRO GENIUS". 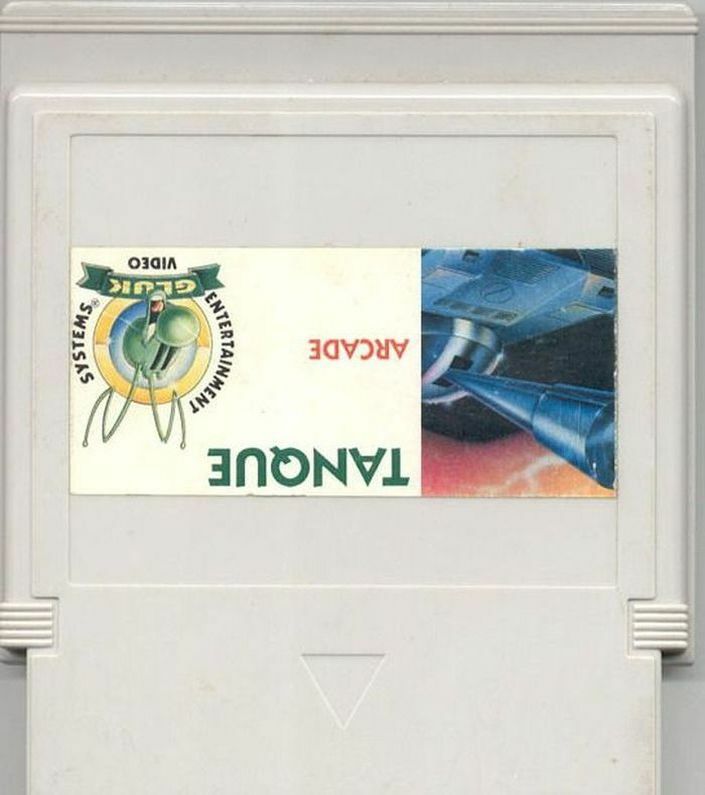 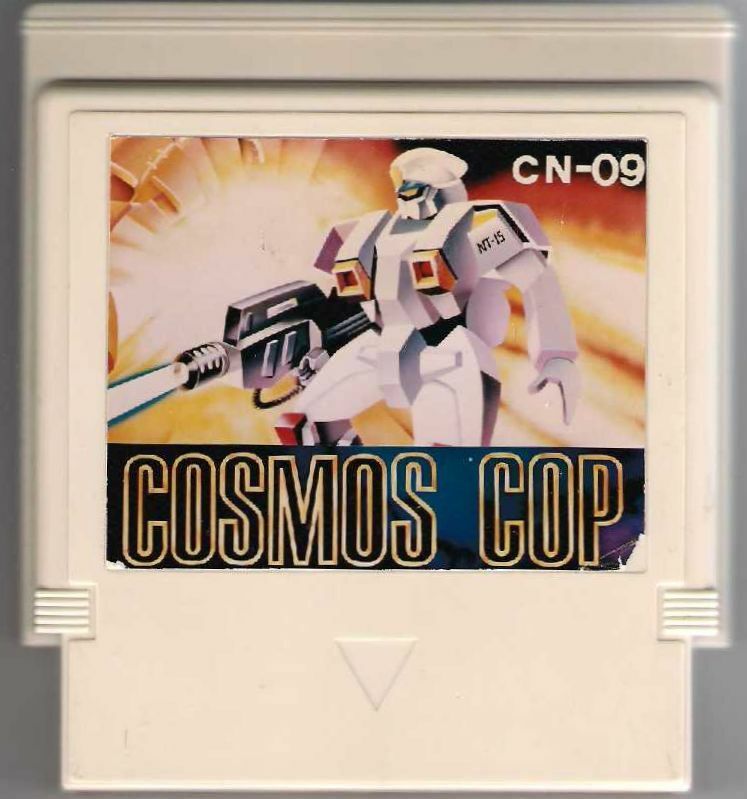 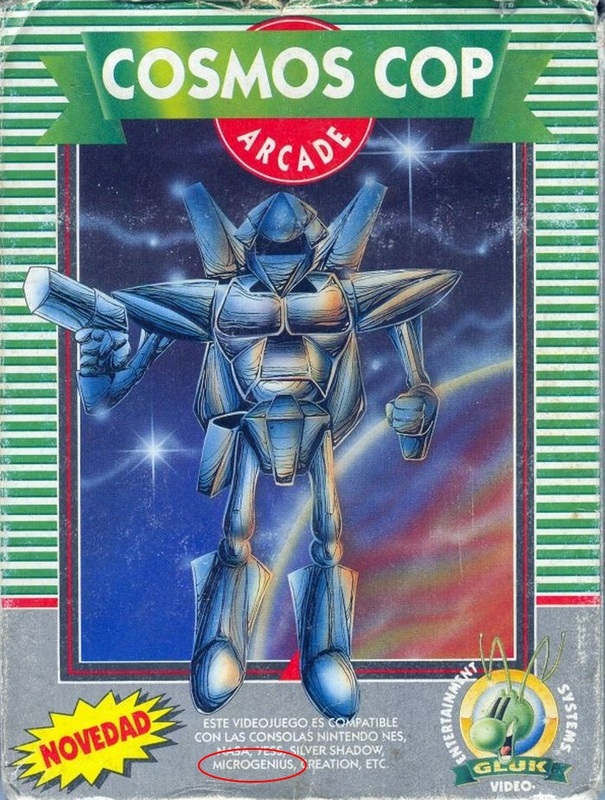 The labels of the cartridges are too big to fit on th espace designated. 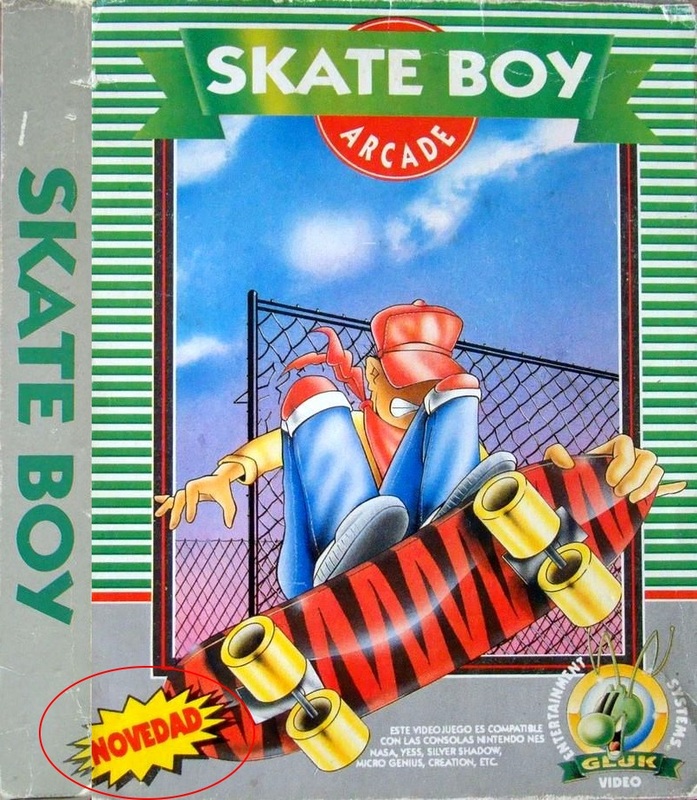 The label that says "NOVEDAD" on the front side of the box goes to the left side of the box. 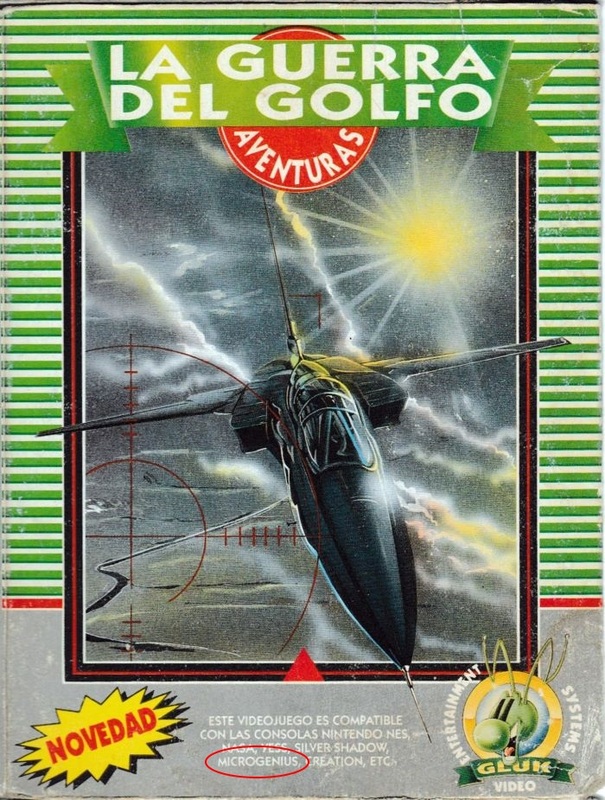 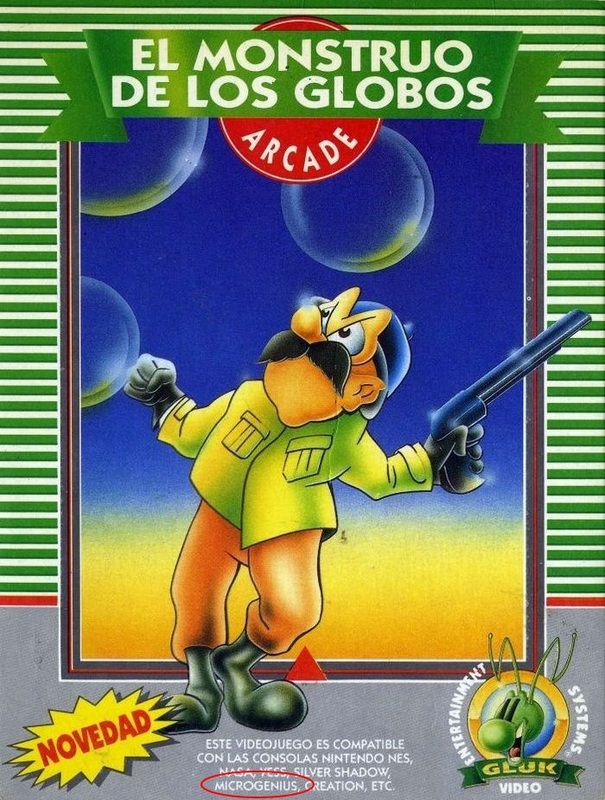 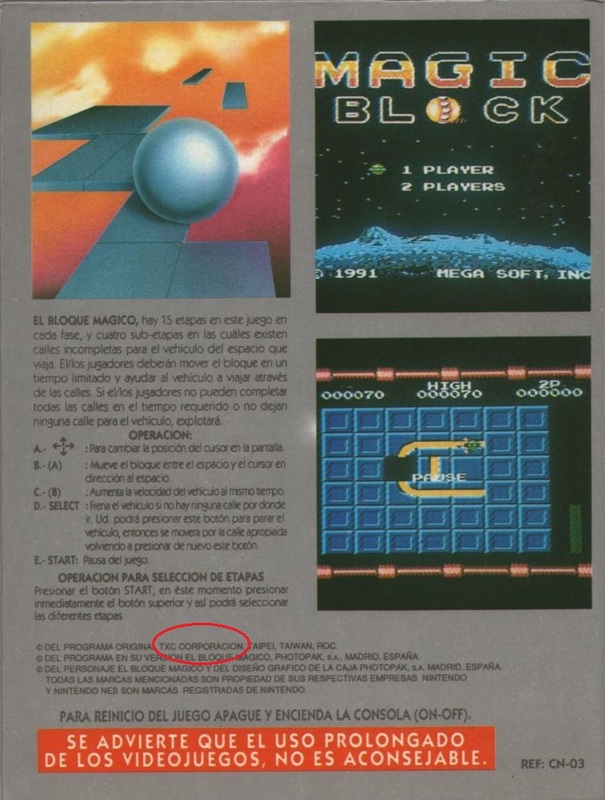 The Gluk logo on the front side of the box is mezcla con la imagen de portada. 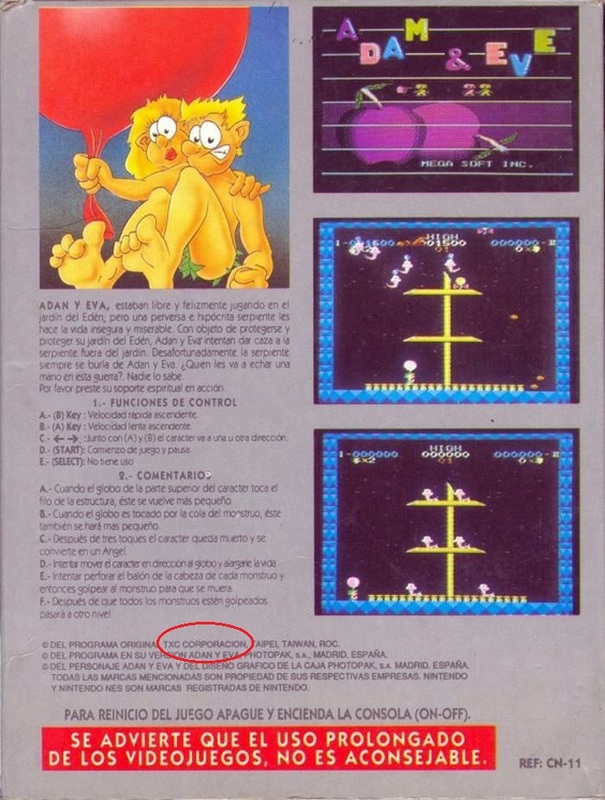 On the front part of the box, on the Gluk Video logo, there is a purple line. 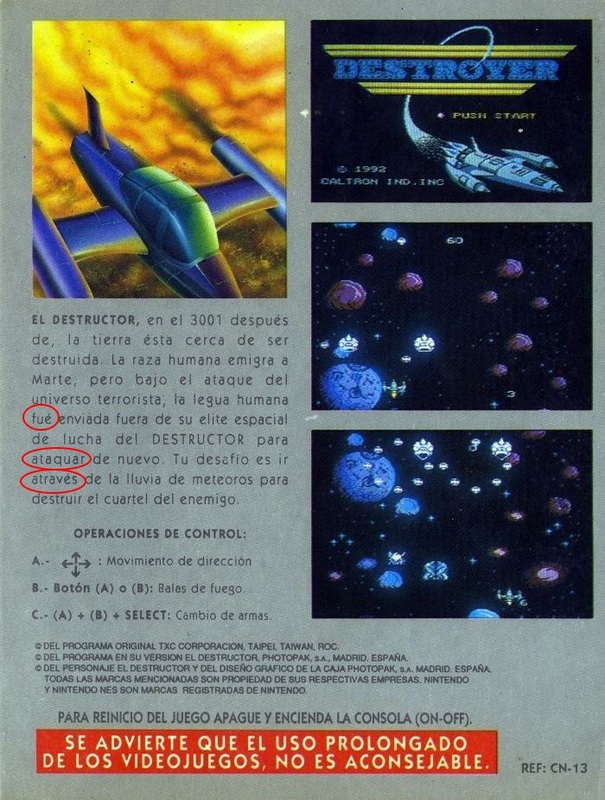 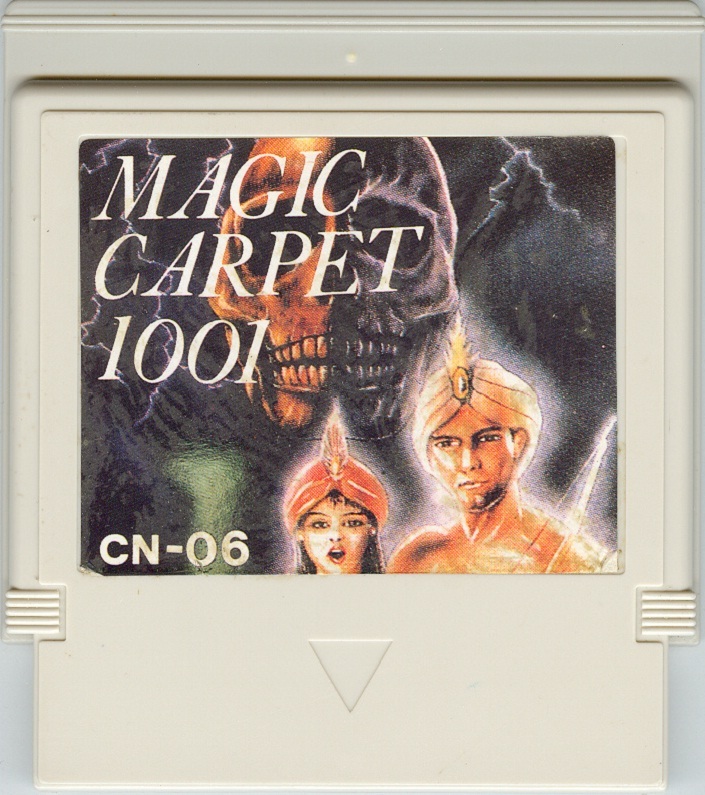 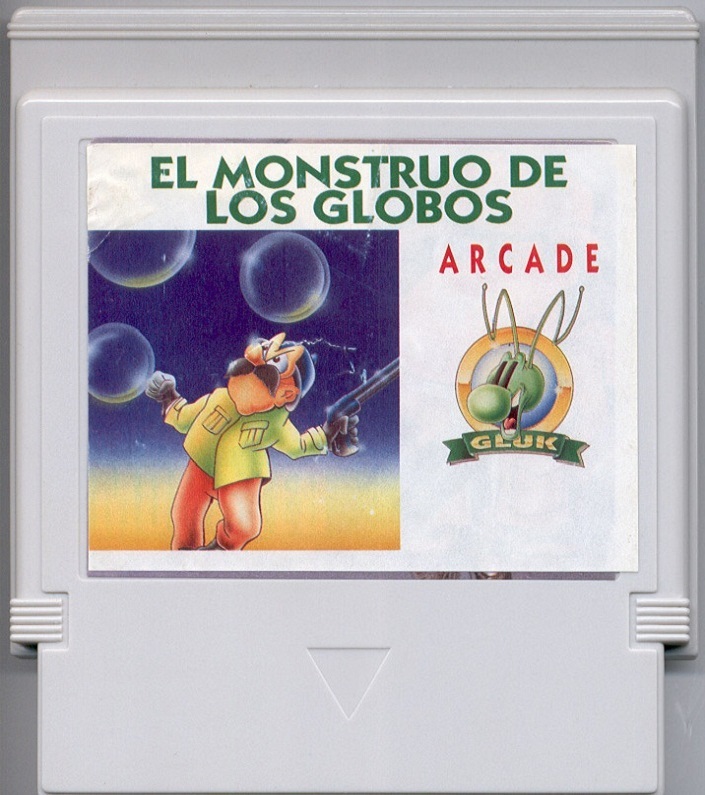 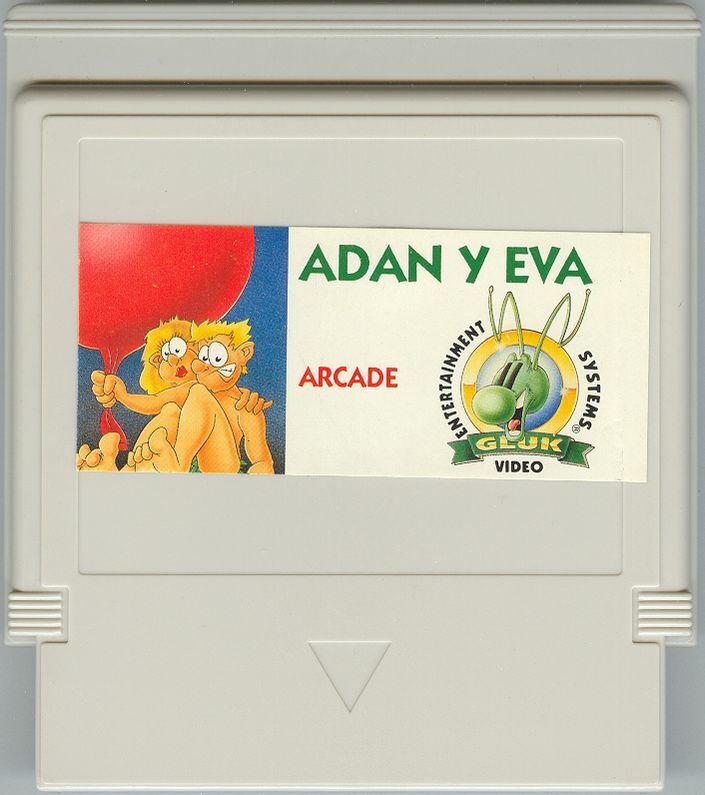 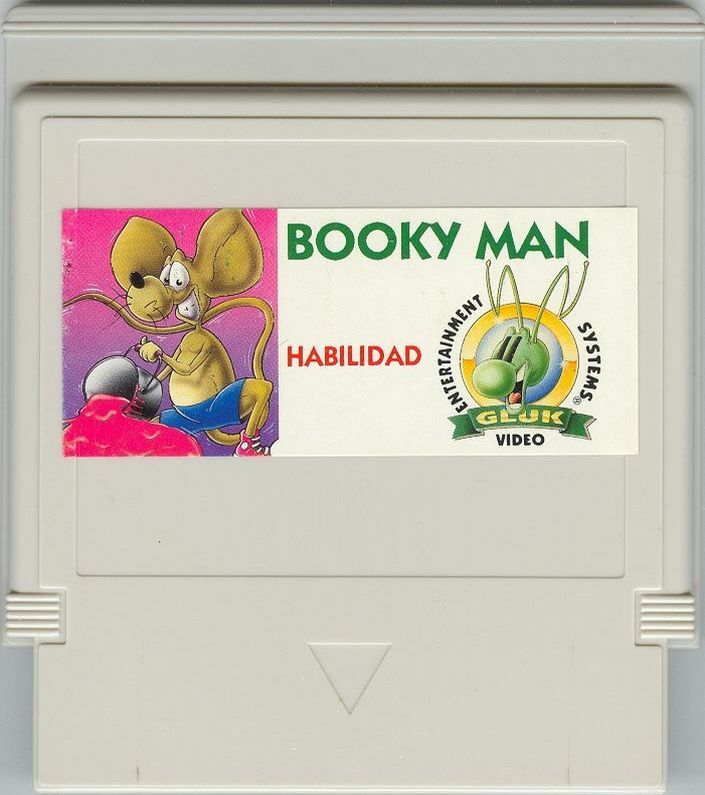 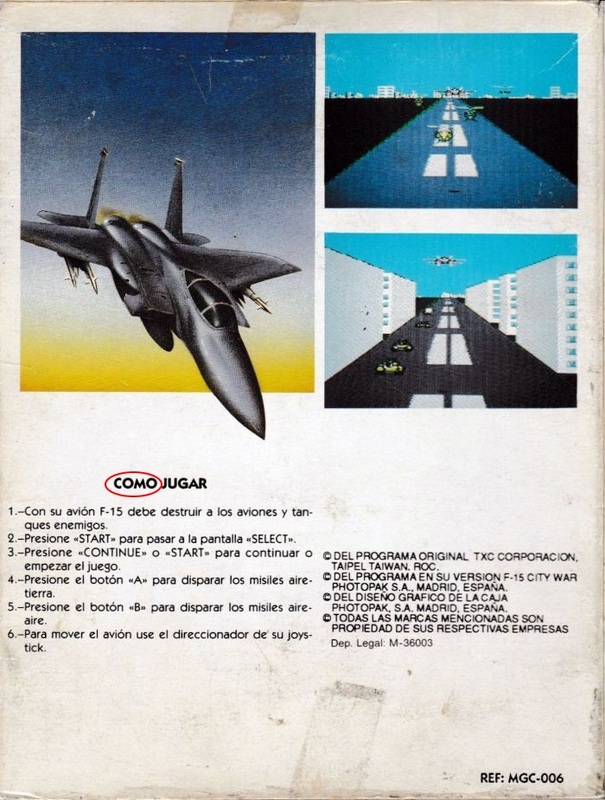 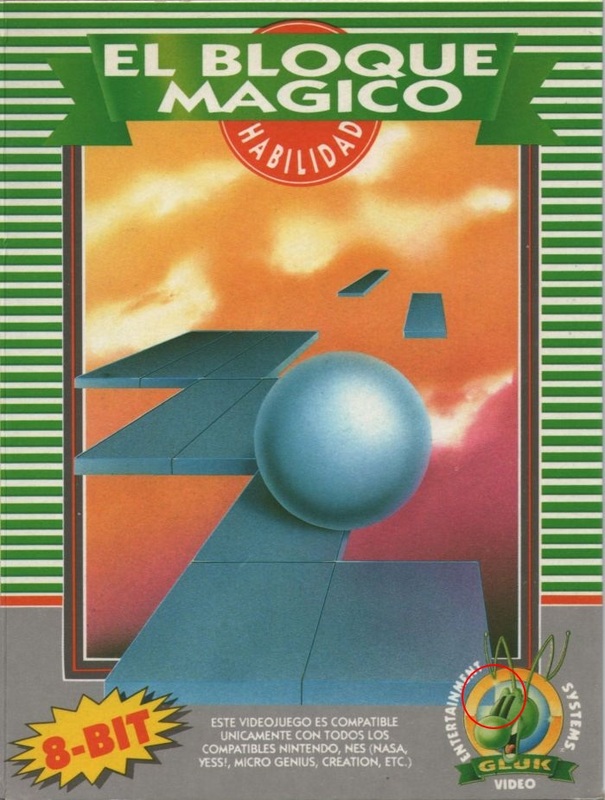 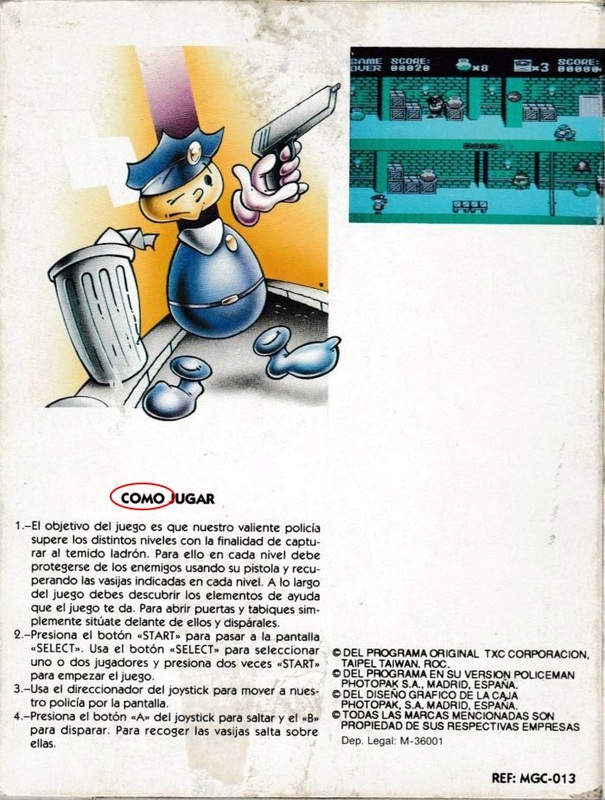 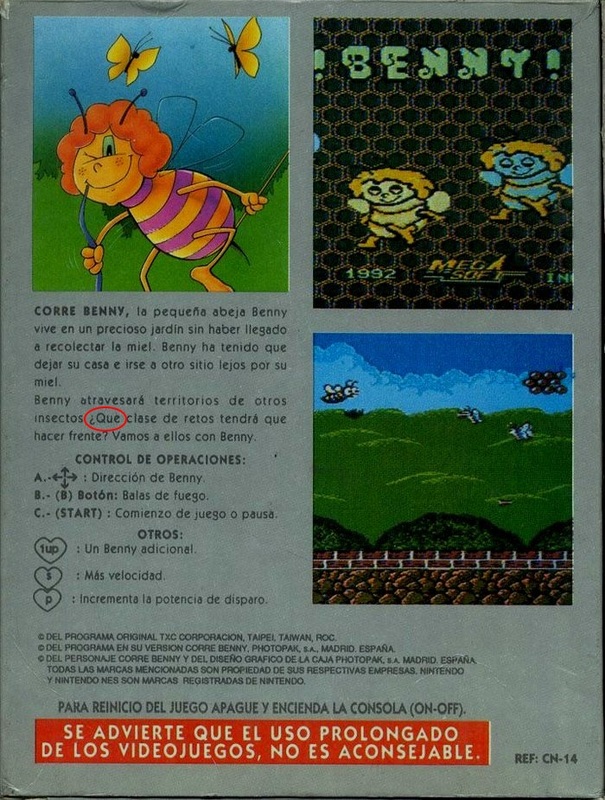 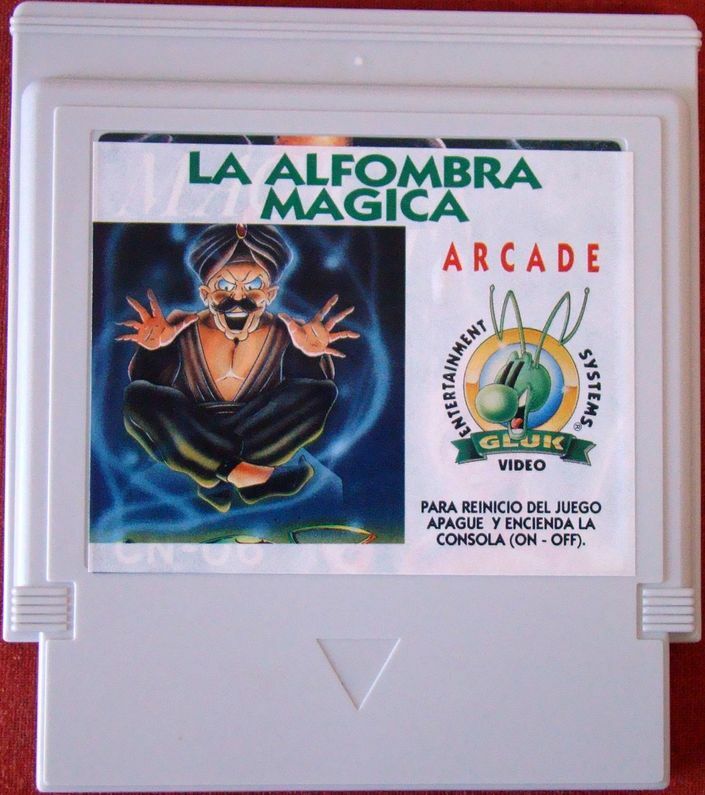 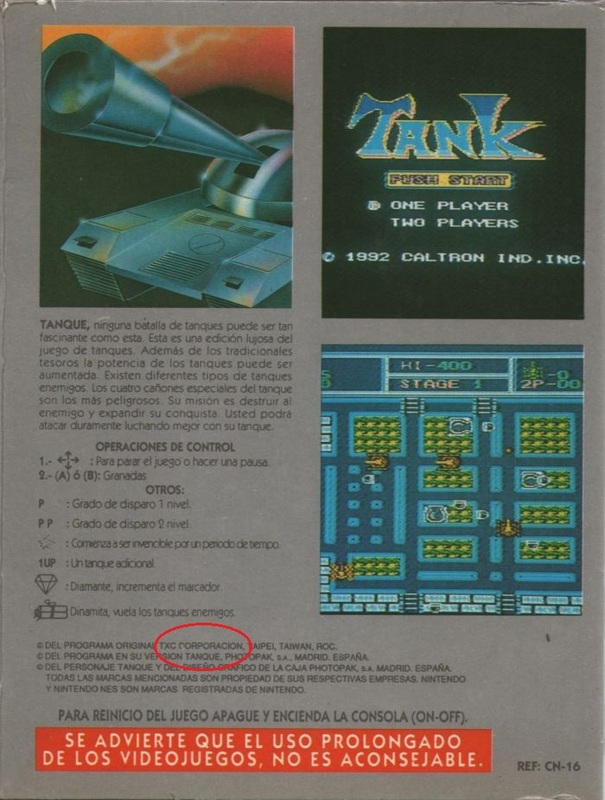 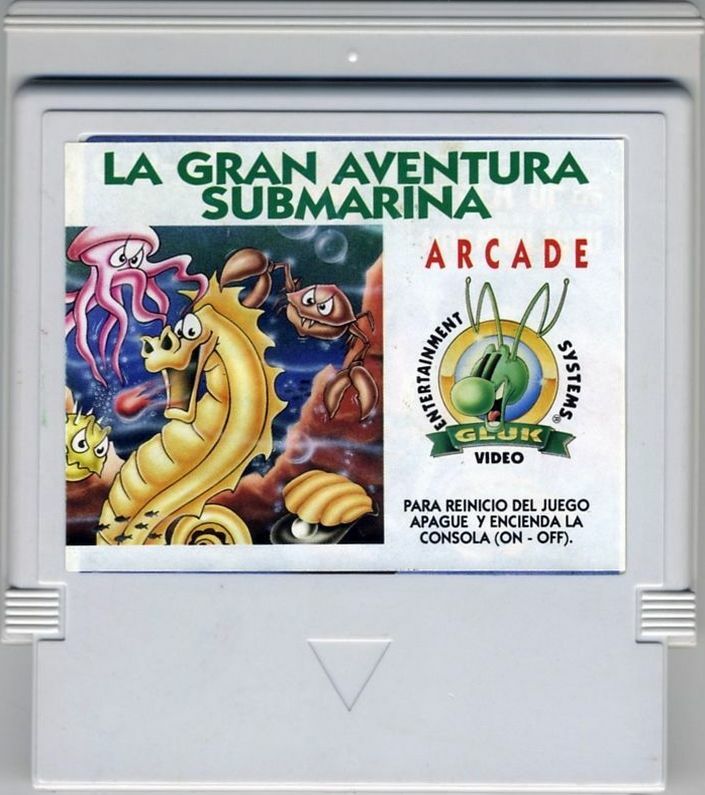 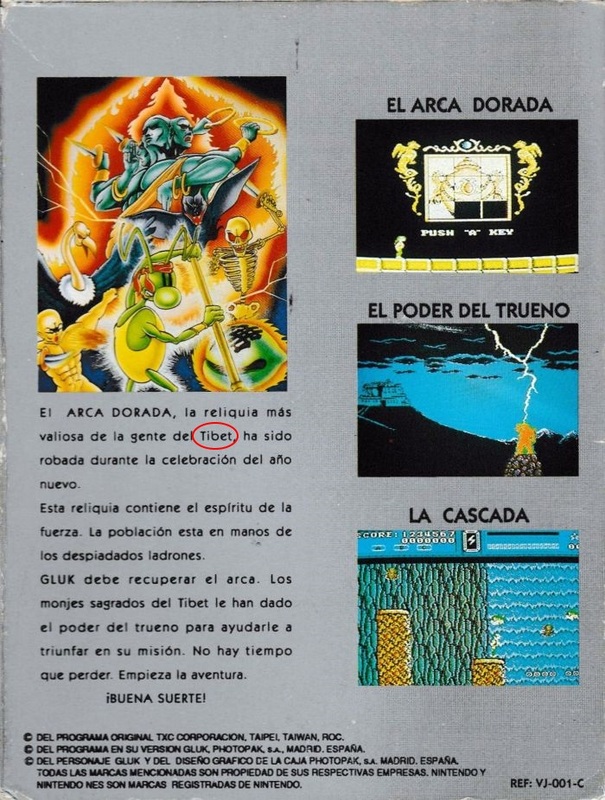 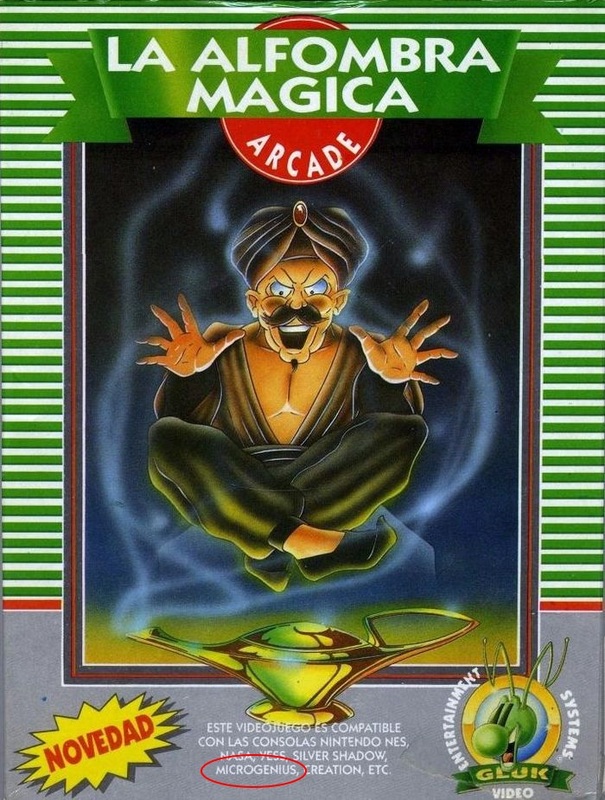 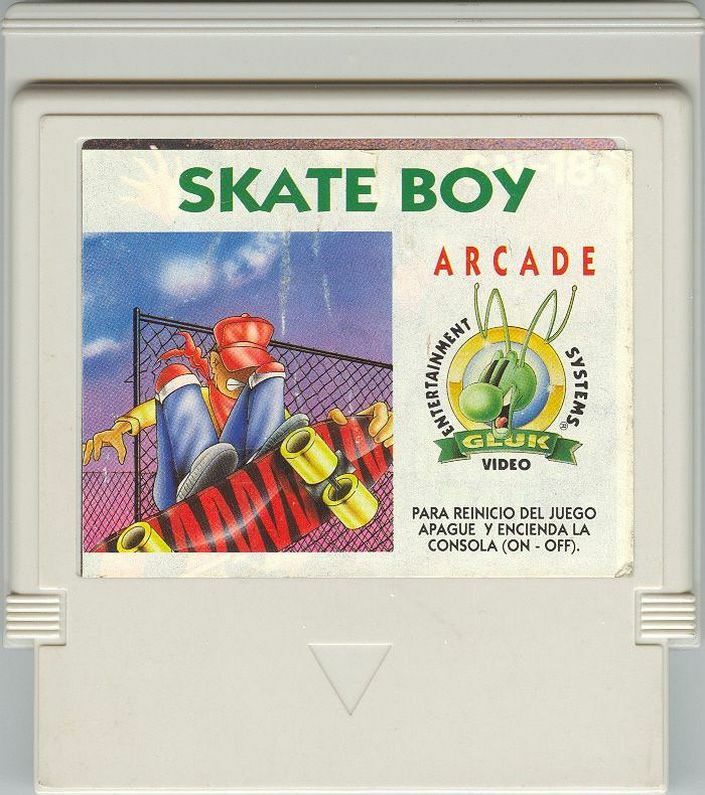 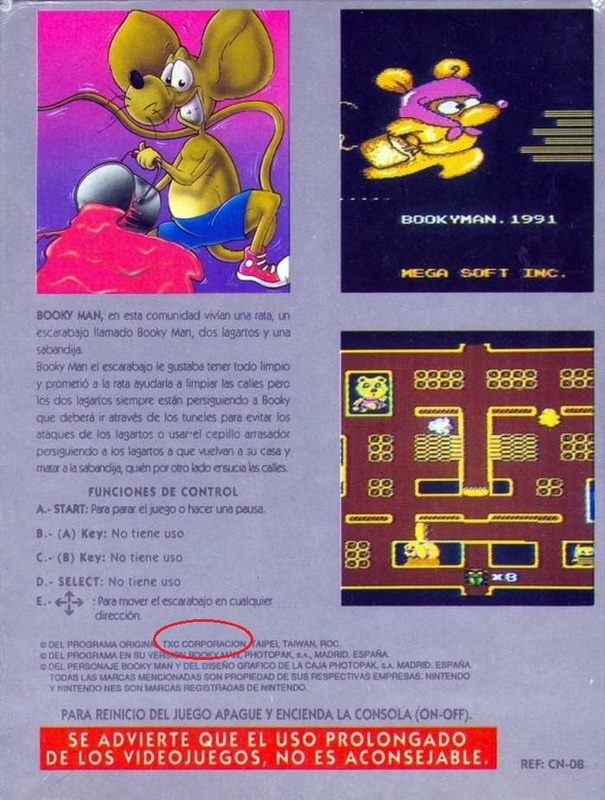 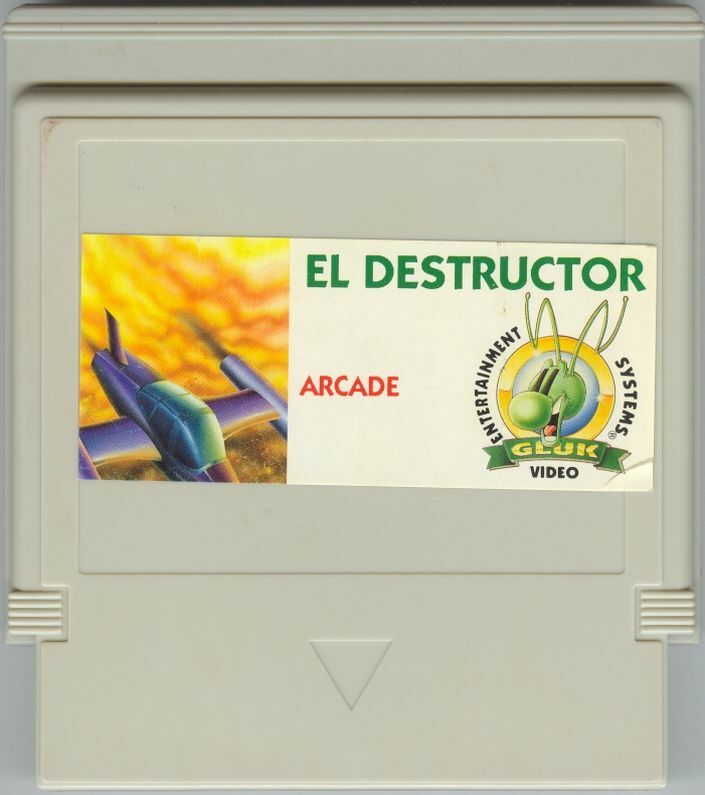 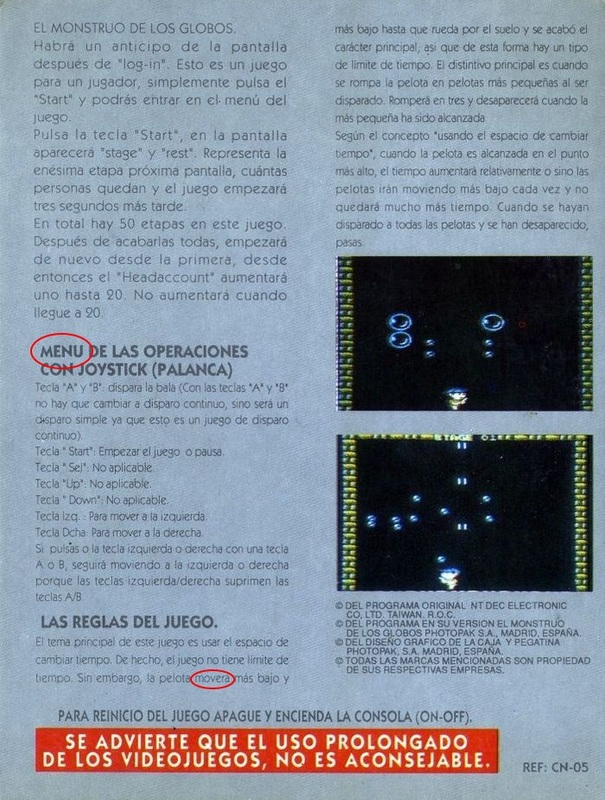 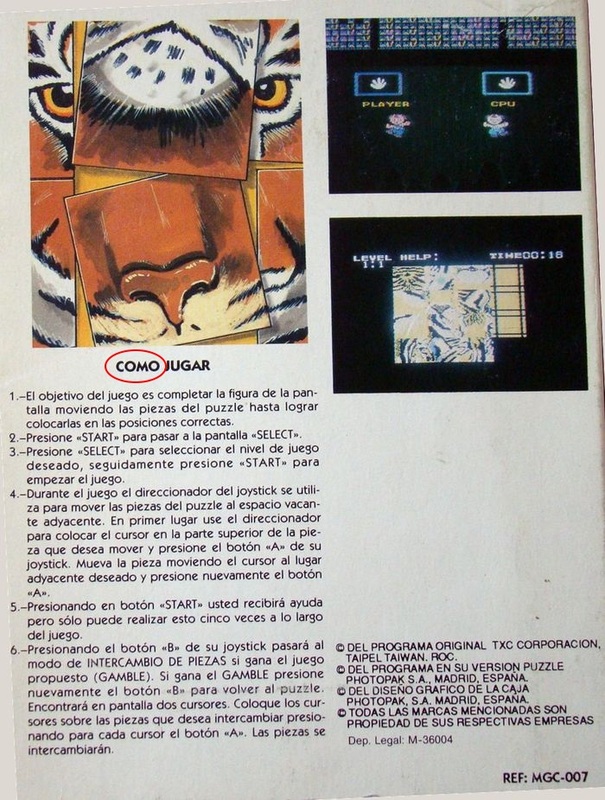 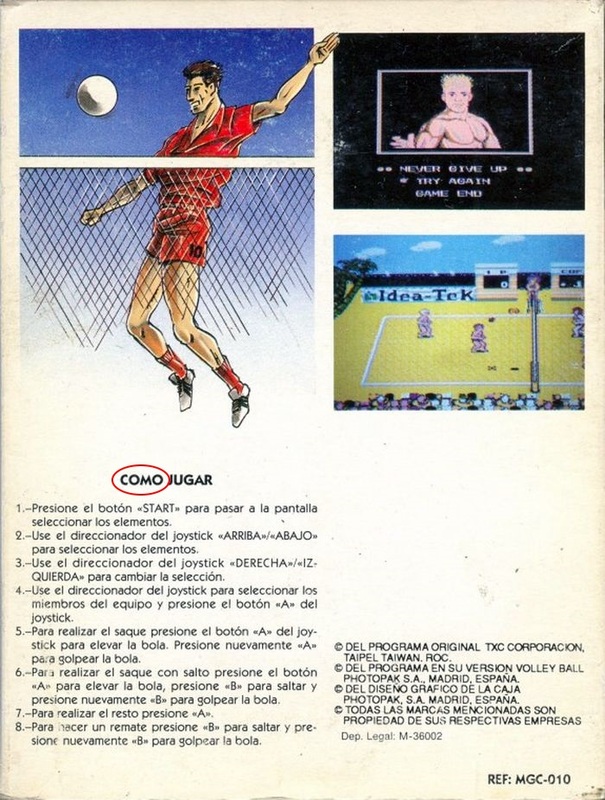 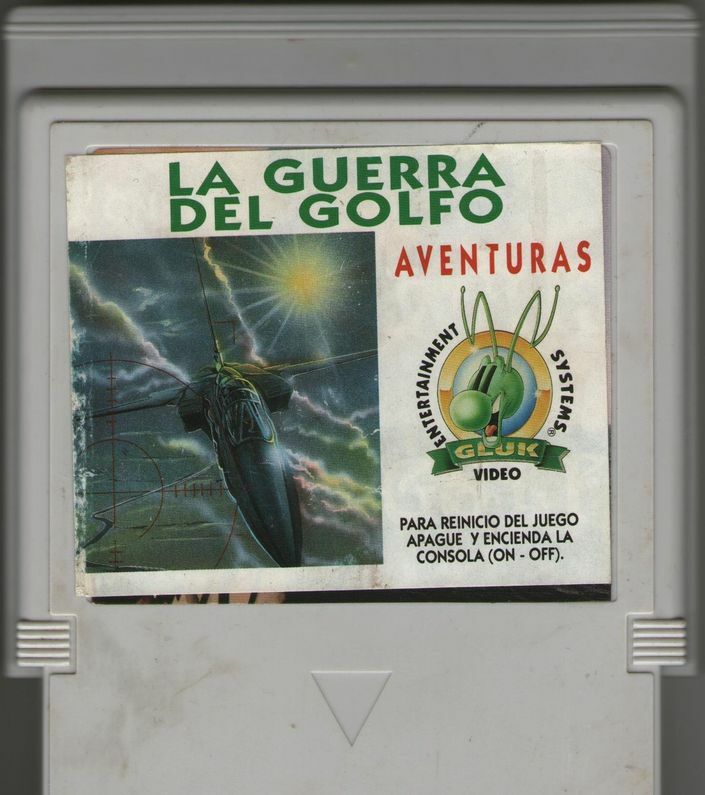 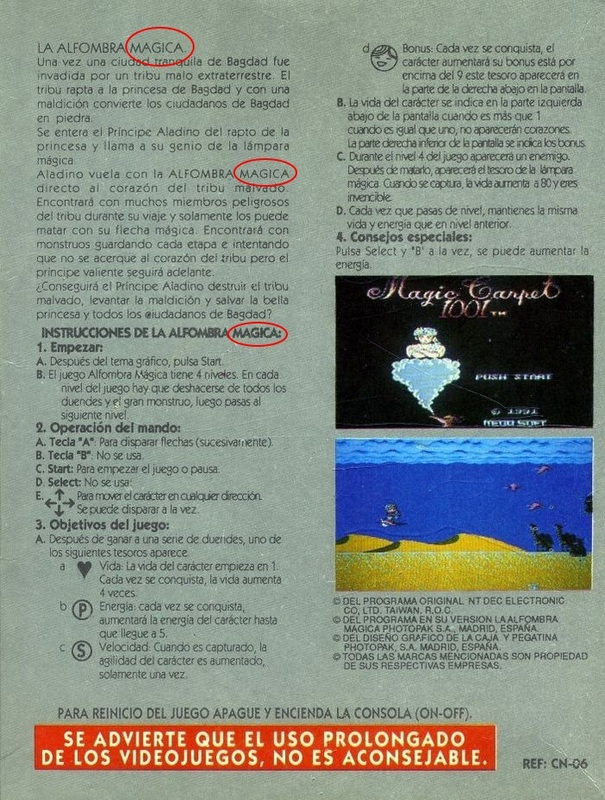 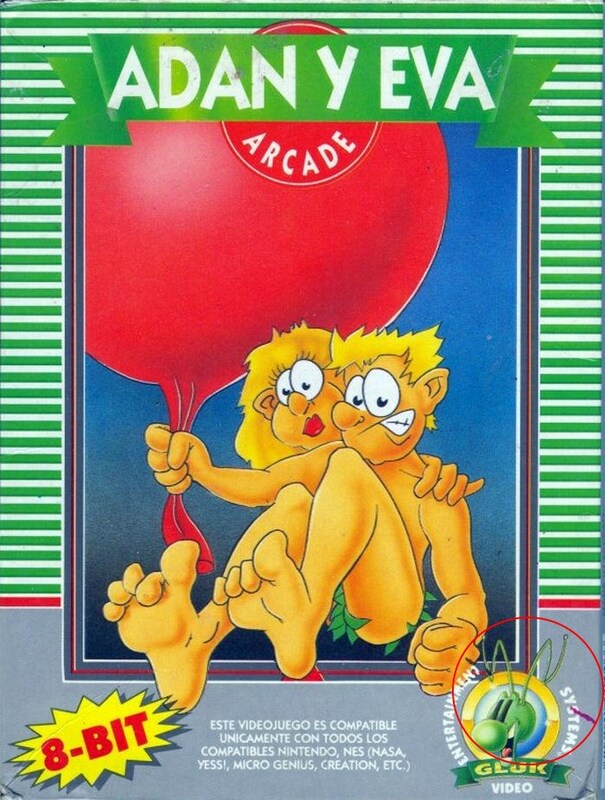 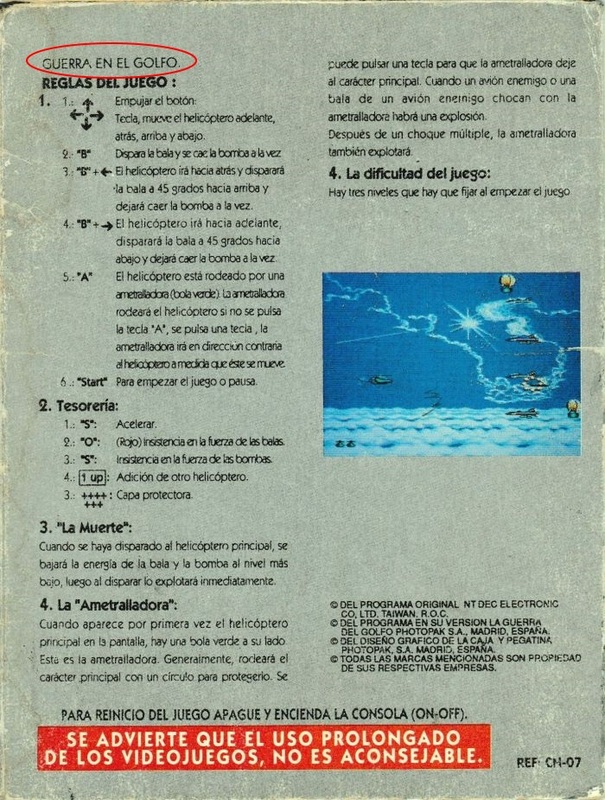 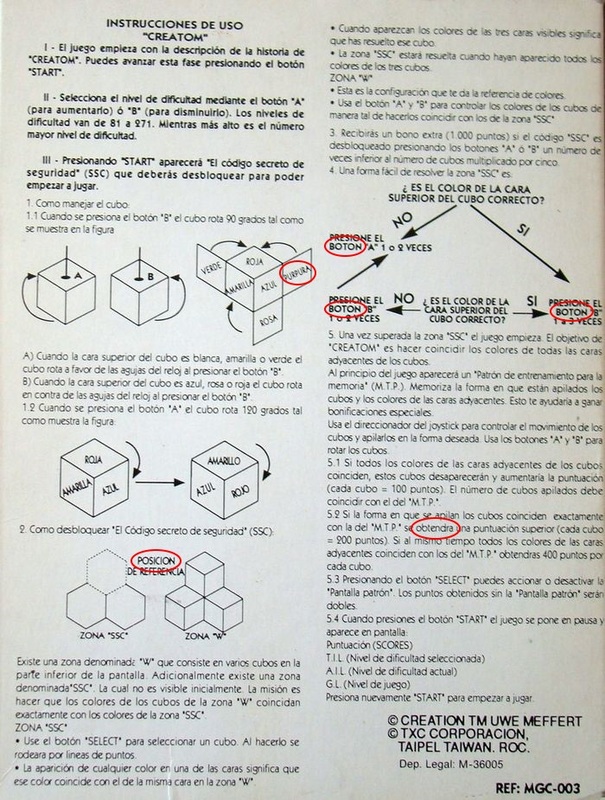 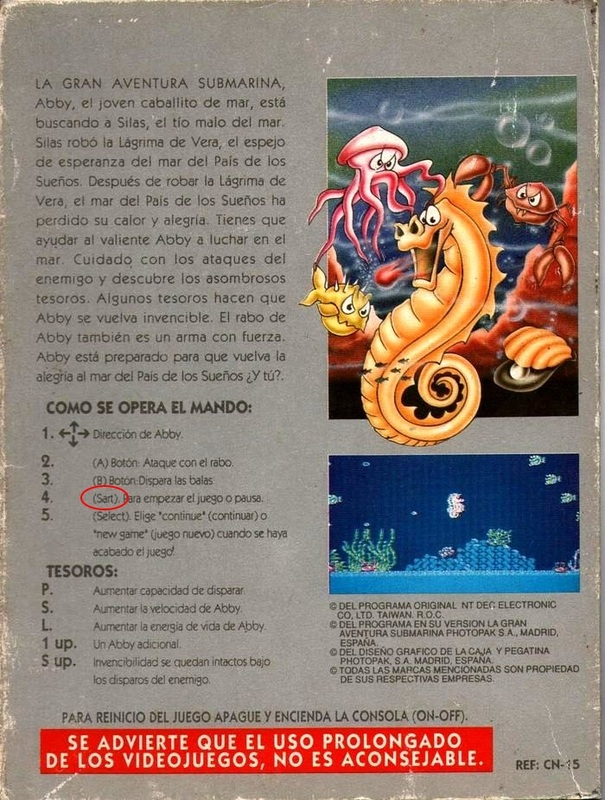 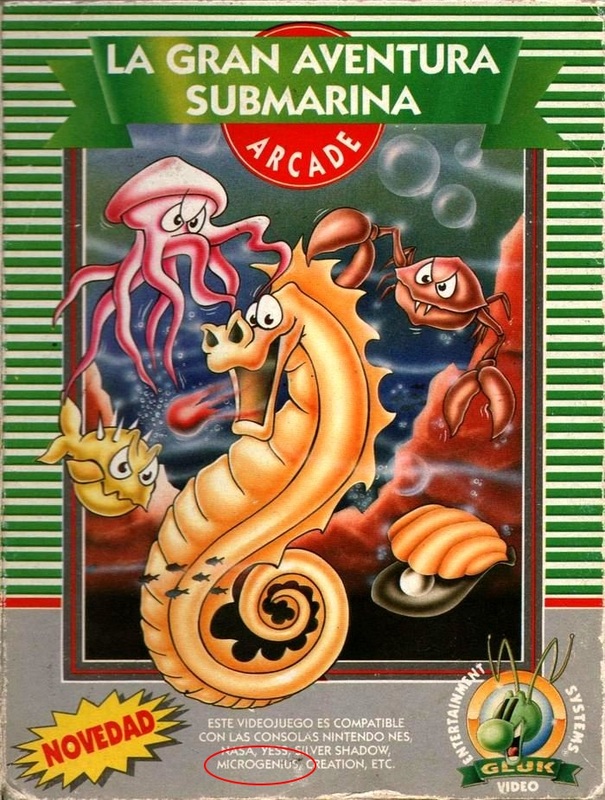 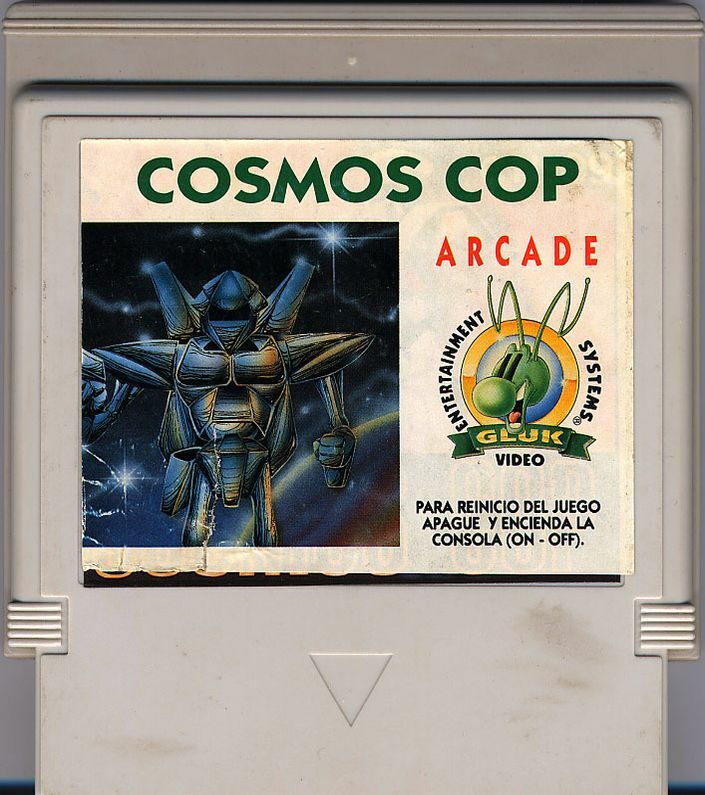 The label does not have the words "VIDEO ENTERTAINMENT SYSTEMS®" around the logo nor the phrase "PARA REINICIO DEL JUEGO APAGUE Y ENCIENDA LA CONSOLA (ON - OFF)". 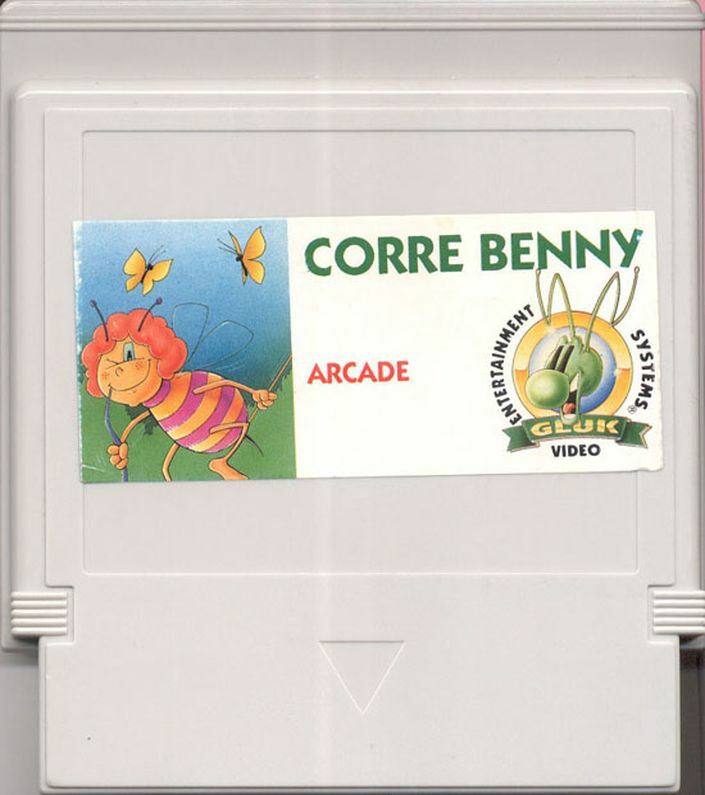 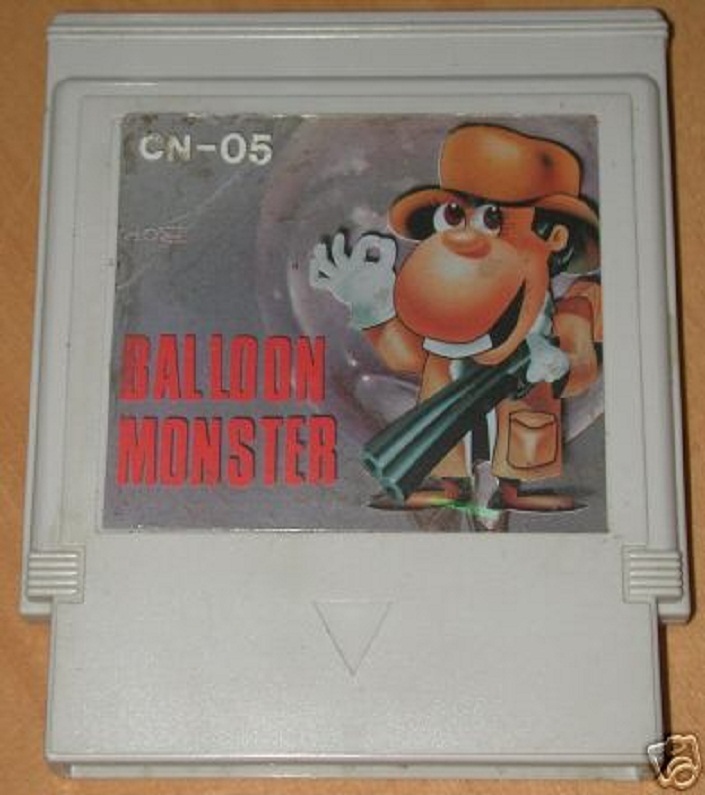 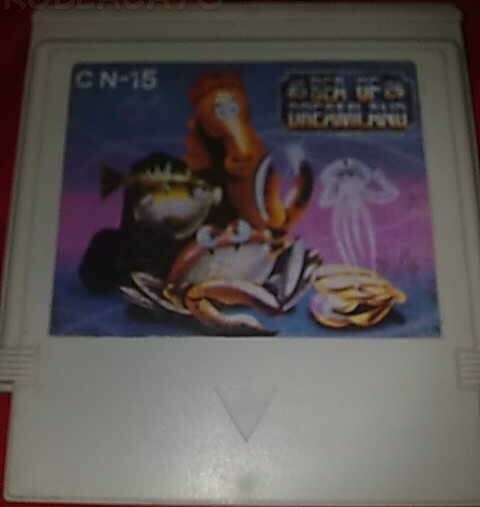 The labels on the cartridge are upside down.